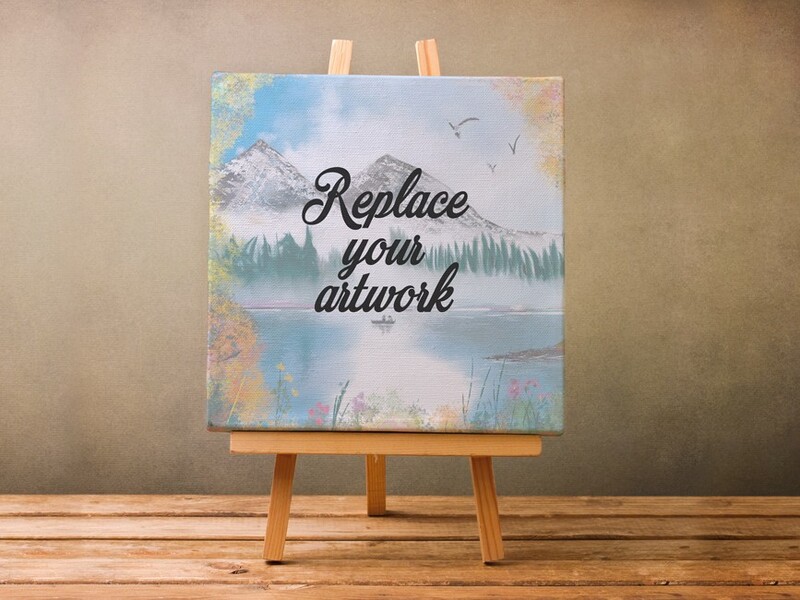 Download Free Canvas Paint Board on Wooden Stand Mockup. Showcase your artworks in a artistic way. Easily add your own graphics with the smart layer and edit the canvas paint board. Good work done by Free Mockup Zone.